We were in the 1st Arrondissement of Paris at the Musee du Louvre, when we took these high definition photos showing a statue called Couronne de Fleurs, which was sculpted by Marie-Louise Lefevre-Deumier. 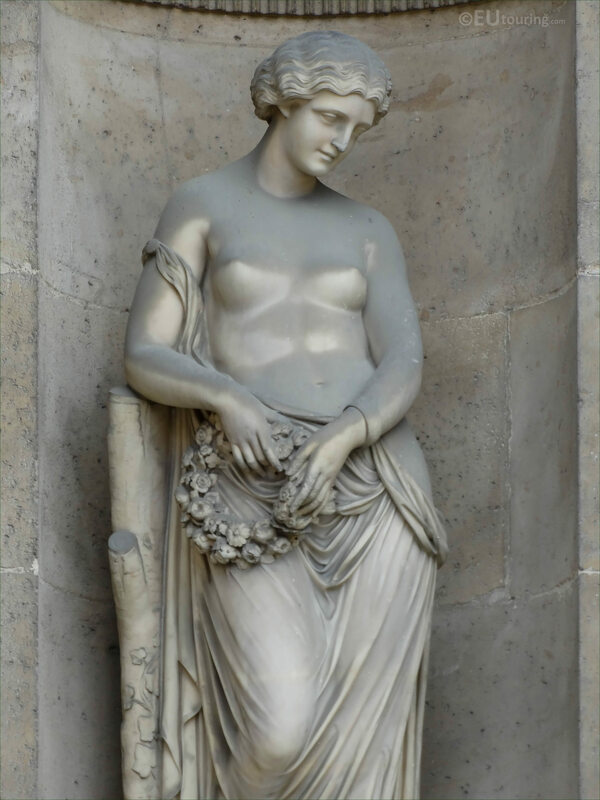 This first HD photo shows a statue called Couronne de Fleurs on the Louvre Museum, which in English translates to Crown of Flowers, however, it is also referred to as the Nymph Glycera, who was a garland maker and lover of the well recognised Greek painter, Pausias. 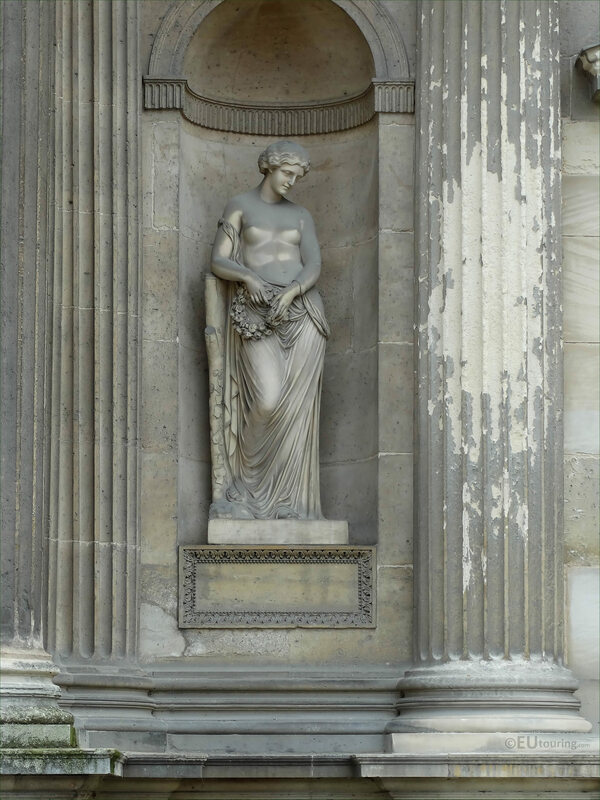 The Couronne de Fleurs statue, or Nymph Glycera was produced in marble by Marie-Louise Lefevre-Deumier, who was born in 1812 with the name of Azalais Larie Louis Roulleaux-Dugage, yet marrying the writer and poet Jules Lefevre Deumier, when she first exhibited at the Salon for French artists she went under married name as Mme Lefevre-Deumier. It was very unusual to have a woman sculptor at that time, but she was also a journalist, although she gained recognitions and medals for her statues and sculptures, yet after the death of her husband, she then moved to the Netherlands, working for the royal family, and only gave up sculpture when she returned to France in 1870. 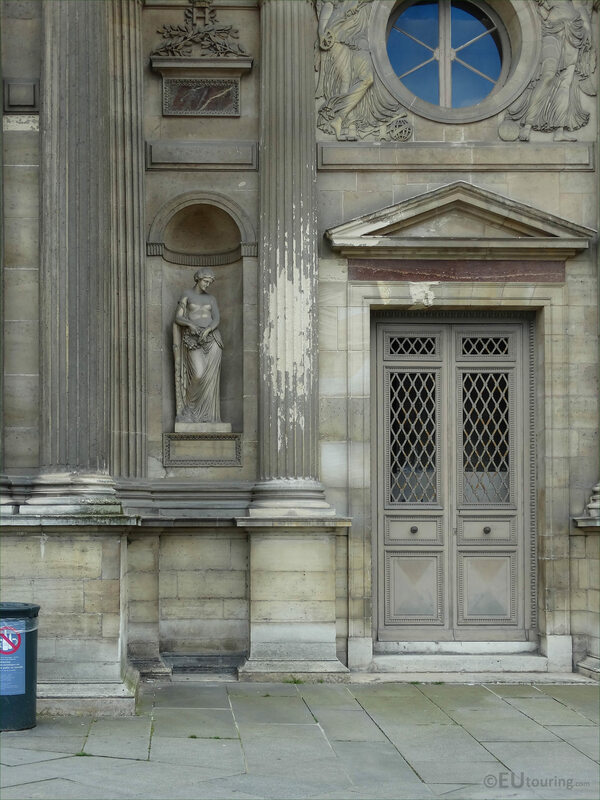 Yet here you can see the location of the Crown of Flowers or Nymph Glycera marble statue positioned within a niche on the Aile Sud, and when you are looking at the facade of the former Palais du Louvre from the courtyard called the Cour Carree, you will see that this is the sixth statue from the left hand side.